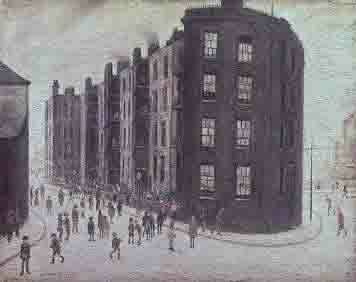 Sadly the art world is plagued by fake Lowry paintings and drawings. For this reason it is essential to have a provenance 110 percent that can trace the work back to Mr Lowry, or that of a reputable gallery. It is quite simply a copy... A counterfeit painting. 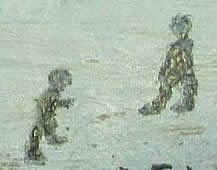 By comparison, the detail, the clarity and the quality of work is poor in the fake painting. 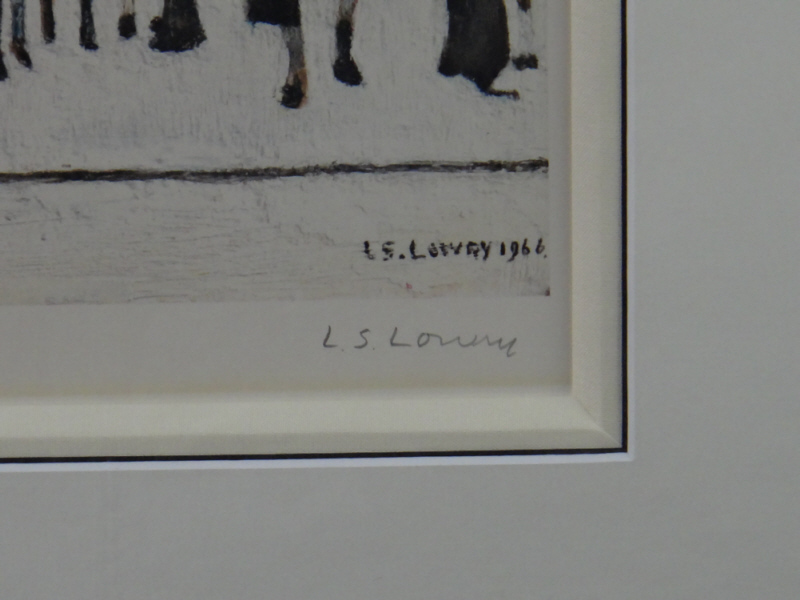 Lowry's paintings have a certain character and clarity which becomes apparent on closer inspection. 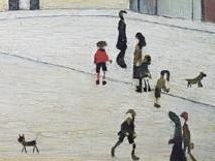 This year will be a major event for Lowry's work, as the Tate Britain is showing the 1st exhibition of Lowry's work, since he died in 1976. Approximately 80 paintings and drawings will be on display, which will undoubtedly greatly increase the value and popularity of his work, which has already become a major investment in recent years. 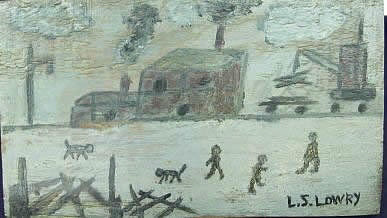 It is amusing to think how Lowry may consider the recent honours for his paintings. He apparently holds the record for declining the most honours. It is not difficult to see the differences between the two signatures. it becomes obvious that these two signatures were not written by the same hand.